I went through a major Dire Straits phase years ago. 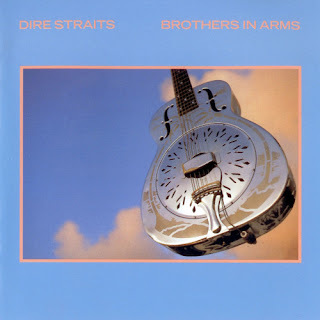 I still have the Brothers in Arms album stored away (and now vinyl is in again). Did you know that the band was British? Mark Knopfler wrote the lyrics. I think he is a great songwriter and was also fond of his solo album Shangri-La. What really attracted me to the song was the beat rather than the lyrics themselves. Did you know that Sting did some of the background vocals? 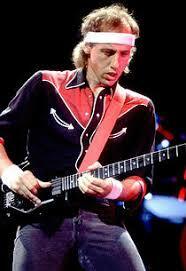 I'm not such a big fan of Mark Knopfler's style (headbands etc) but he sure can play that giii-taar! And his voice suits the songs.